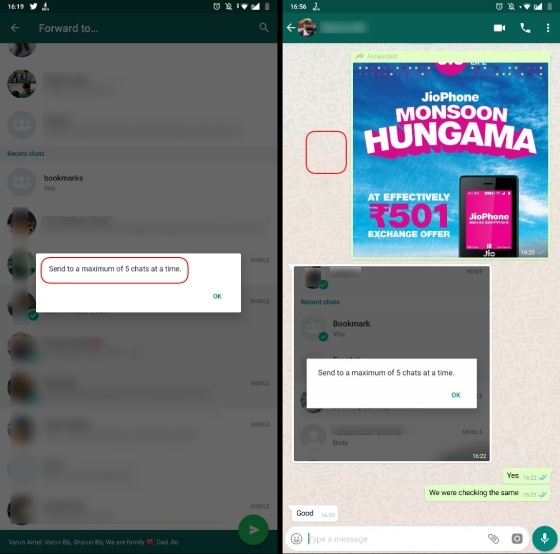 With the Indian government pushing all the blame for the brutal communal lynchings in the country on WhatsApp, the messaging giant has been adopting measures to restrict the spread of misleading and hoax stories. 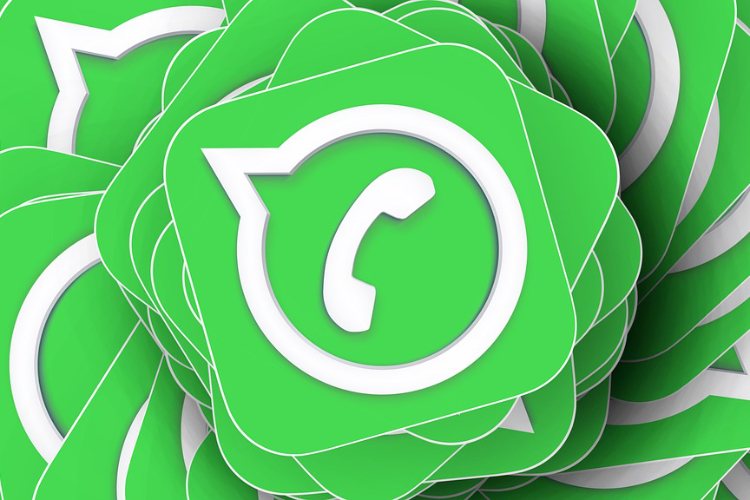 Thus, WhatsApp recently took a firm stand and announced that it will limit the ability to forward content to 5 chats and this feature has now started rolling out to users in India. First spotted by Android Police, this feature is live in India if you are using the Beta version. We can confirm that WhatsApp is rolling out the new forward limitation in India and it has shown up for many at the Beebom office. This feature is currently under testing in the latest Android beta (build #2.18.222) and is expected to reach every user very soon, especially after the government has sent another notice to the company for not being able to end the flow of fake news. As you see in the screenshot attached above, the forward arrow button next to media attachments has now been removed. This makes it less easy for you to forward a photo or video to friends and contacts. Most importantly, you can no longer select five chats to forward the messages. When you try to select more than five chats at a time, WhatsApp will now warn you about the ‘forward limitation’ with a pop-up notification. What we don’t get is how a limitation on the number of forwards at a time solves the problem – even if WhatsApp itself may not be to blame. You can still easily spread fake messages and doctored pictures to the masses provided you have the patience to follow the forward steps many times over. Simply put, those who want to spread fake news will still take the pain to forward messages multiple times and naive or unsuspecting users will continue to fall prey to the same. This isn’t the ideal implementation of this feature – one assumed the limit would be on the number of times you could forward the message, but that is not the case. WhatsApp might have to rework it in the future as this is not likely to solve the problem at hand. At least, that’s what it seems like to me. What do you think about the forward limits? Does it make sense? Will it work? Let us know in the comments below.